It’s been a few months since we’ve visited the 2017 Bordeaux futures campaign. Travel played a big role in that gap but my wallet also needed a bit of a break as well. But we’re going to return now and head to St. Julien to look at the offers for the 2nd Growths Gruaud Larose and Ducru-Beaucaillou, the third growth Chateau Lagrange and the second wine of Ducru-Beaucaillou. If you want to catch up, a good place to start is with our first Bordeaux Futures 2017 post covering the offers of Palmer, Valandraud, Fombrauge and Haut-Batailley. There I also lay out my general outlook and philosophy on buying futures for this vintage. You can also check out the links at the bottom to see what other offers have been previously reviewed in this series. The reputation of Gruard-Larose dates back to the early 18th century when it was owned by a French knight, Joseph Stanislas Gruaud. In the 1750s, two of his descendants, a priest and a magistrate took control. The brothers purchased adjoining parcels, enlarging the estate to 116 ha (287 acres), and established a reputation for high quality. Clive Coates notes in his work Grand Vins, that during this time the wines of Fond Bedeau (as it was known then) fetched some of the highest prices in St. Julien and was only behind the four First Growths in reputation. Coates also notes the eccentricity of the magistrate Gruaud who eventually assumed control of the estate. He constructed a large tower, a replica of which is still in use today, in the vineyard so he could keep eye on his workers. At the end of each harvest, he would also raise a flag up on the tower indicating the nationality of buyers who he thought would most appreciate the style of the vintage. If the wines were full-bodied and firm in structure, he would raise a British flag. For vintages that were more soft and easy drinking, he would raise a German flag. If the style of the year fell somewhere in the middle, then the magistrate would raise a Dutch flag. When the magistrate passed in 1778, the property was inherited by his daughter and son-in-law, Joseph Sebastian de La Rose. The new estate was christened Ch. Gruaud-Larose. As Lieutenant-Governor of the Province of Guyenne, M. Larose was able to get his wines served at numerous public events held by the nobility prior to the outbreak of the French Revolution. These events featured not only Gruaud-Larose but also those of his Haut-Medoc estate Ch. Larose-Trintaudon located outside the borders of Pauillac and Saint Laurent. Several cases of Gruaud-Larose also made their way to the nascent United States. Following the outbreak of the French Revolution and the financial difficulties of the Napoleonic era, the descendants of Larose had to put the estate up for auction in 1812. It was purchased by a consortium of individuals who included the Baron Jean Auguste Sarget. Eventually disagreements with Baron Sarget and the heirs of the other owners led to a splitting of the estate in 1867. From then until 1935 when the Cordier family reunited the property, there were two Gruaud-Larose wines–Ch. Gruaud-Larose-Sarget and Ch. Gruaud Larose-Bethmann (later Ch. Gruaud Larose Faure). The Cordier family maintained ownership of the property, along with the 4th Growth Ch. Talbot, the 5th Growth Ch. Cantemerle, Ch. Meyney in St. Estephe, Clos des Jacobins in Saint Emilion and Ch. Lafaurie-Peyraguey, for several decades until selling it to the Suez Banking Group in 1985. Gruaud-Larose went through a succession of owners until 1997 when it was purchased by the Merlaut family of the Taillan Group. Today it is part of a portfolio that includes the 3rd Growth Margaux estate of Ch. Ferriere, the 5th Growth Ch. 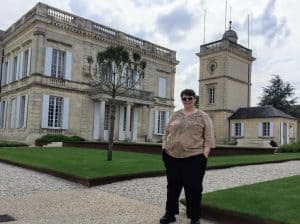 Haut-Bages-Liberal in Pauillac, Ch. Chasse-Spleen, Ch. Citran and Ch. La Gurgue. It is unique among the 1855 classified estate in that the vineyards are relatively the same as they were when the estate was first classified. Most of the estate is one large block of vines between Branaire-Ducru and Ch. Lagrange with another segment separated from the commune of Cussac and the Haut-Medoc estate of Ch. Lanessan by a stream. Compared to other estates in the Medoc, Gruaud-Larose tends to have a significant amount of clay in the soil (particularly in the parcels close to Lanessan). However, plantings in recent years has focused on increasing the amount of Cabernet Sauvignon and pulling up parcels of Merlot and Cabernet Franc. The vineyards are farmed organically with several of the parcels farmed biodynamically. Around 18,000 cases a year are produced with some fruit being declassified to the estate’s second wine Sarget Larose. The 2017 vintage is a blend of 67% Cabernet Sauvignon, 31.5% Merlot and 1.5% Cabernet Franc. JJ Buckley: No offers yet. A lot of wine experts feel that Gruaud-Larose turned a corner after the 2009 vintages. While notoriously inconsistent and noted for wines that were often quite awkward and austere in their youth, the thinking was that this new era of Gruaud-Larose would bring the estate back to the some of the glory that originally earned it a 2nd Growth classification. 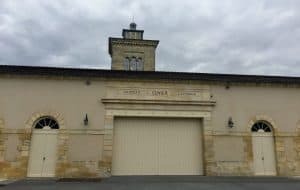 After visiting the estate in 2016 and tasting several of its recent releases at Union des Grands Crus de Bordeaux tastings, I do think the estate has got the consistent quality part down pat. But I’m skeptical that the “awkwardness” and austerity of youth is gone. These wines are still remarkably tannic and well-structured. They are certainly built for the long haul which makes them a good investment for cellar-worthy vintages. But for vintages like 2017 where I have an eye for more early-drinking styles, this is not an estate I have on my radar. Pass. The estate that is now known as Ch. Lagrange dates back to the Middle Ages when it was known as Maison Noble de Lagrange Monteil. Wine production has taken place since at least the 1630s when it was owned by Jean de Cours, the Sire de Paulliac, who acquired the estate by marrying Marguerite de Vivien. In the 18th century, it came under the ownership of the Baron de Brane who also owned Brane Cantenac and Mouton Brane (later Mouton-Rothschild). At this time the wines were sold as Baron St. Julien. 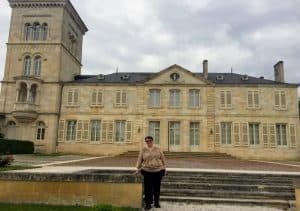 During the French Revolution and into the Napoleonic era, the estate was owned by Jean-Valère Cabarrus who eventually became Napoleon’s Finance Minister to Spain. Cabarrus daughter, Thérèse, was notable for saving many nobles from facing the guillotine during the Revolution and being the lover of Jules Ouvard who owned both Clos Vougeot and Domaine de la Romanee-Conti. The next couple centuries saw a succession of ownership changes including a time in the care of John Lewis Brown who owned Ch. Cantenac Brown in Margaux and Ch. Brown in Pessac-Leognan. For most of the 20th century, Lagrange was owned by the Cendoya family from the Basque region of Spain. Financial difficulties during that period caused the Cendoyas to have sell off parcels of vineyards including several hectares used by Henri Martin to found Chateau Gloria. In 1970, the Borie family of Ch. Ducru-Beaucaillou purchased 32 ha (79 acres) with a good chunk of that eventually becoming the estate Ch. Lalande-Borie. Stephen Brook notes in The Complete Bordeaux that by the time the Japanese whiskey firm Suntory purchased the estate in 1983, it had shrunk from 120 ha (297 acres) to just 57 ha (141 acres) with under half the vines being Merlot. Visiting Ch. Lagrange in St. Julien. Upon their acquisition of Lagrange, Suntory began investing millions into renovations in the vineyard and winery. Marcel Ducasse was brought on to manage the estate with Emile Peynaud and Michel Delon consulting. Suntory and Ducasse initiated what Clive Coates called “a Renaissance” at Lagrange and noted that Suntory was uniquely qualified to help the 3rd Growth estate reclaim its standings. In addition to the vast capital from their whiskey empire (which now includes Jim Beam), Suntory is the largest importer and distributor of French wine in Japan. They also have owned a vineyard at the base of Mt. Fuji for many decades, the Yamanashi Vineyard, producing wine under the label of Ch. Lion. Suntory’s head enologist, Kenji Suzuta, spent time at Lagrange assisting Ducasse. Ducasse introduced sustainable viticulture to Lagrange with many parcels farmed organically. He also began an extremely selective sorting regiment in the vineyard and the winery which necessitated the creation of a second wine, Les Fief de Lagrange, in 1985. Stephen Brook notes that the strict selection process continued even after Ducasse successfully rehabbed Lagrange’s image and through his retirement in 2007. Today, under the direction of Bruno Eynard, many top quality parcels of Lagrange are still declassified down to the second wine, making Les Fief de Lagrange a top value in Bordeaux. Today Lagrange produces around 60,000 cases of the Grand Vin each year. The 2017 vintage is a blend of 78% Cabernet Sauvignon, 18% Merlot and 4% Petit Verdot. This 2009 Les Fiefs de Lagrange was outrageously delicious. I would put it on par with many 3rd Growths by itself in the $50-60 range. This was another estate that I had the opportunity to visit in 2016. 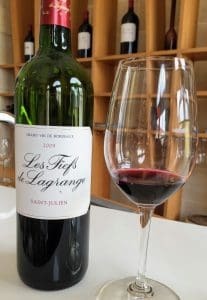 While I was a little underwhelmed with the 2012 Lagrange they poured, I was blown away by how scrumptiously delicious the 2009 Les Fief de Lagrange (Wine Searcher Ave $45) was. However, I don’t want to judge the Grand Vin too harshly on a youthful showing from an average vintage (especially compared to the more superior 2009 vintage). But with that track record, I am going to be cautious. There is definitely value in the 2017 offering being priced less than the 2014-2016 vintages so I can’t blame anyone for pulling the trigger. I’m still going to take a “wait and see” approach. It’s unlikely that the price will jump dramatically so I’m okay with give it a Pass for now. Clive Coates notes that Ducru-Beaucaillou was originally known as Maucaillou (bad stones) because of how difficult the stoney soil was to work with. Once the quality of the wine from the vineyard began garnering attention in the 1700s, the name gradually changed to Beaucaillou (beautiful stones). The “Ducru” part of the name came in 1795 when Bertrand Ducru purchased the estate and commissioned the famous Parisian architect, Paul Abadie, to design the chateau. His descendants would later sell Ducru-Beaucaillou in 1866 to Lucie Caroline Dassier, wife of the notable Bordeaux merchant Nathaniel Johnston. Johnston unsuccessfully tried to change the name to just Beaucaillou but by this point the name, and its 2nd Growth classification, had solidified itself in the market. It was during this time at Ducru-Beaucaillou when vineyard manager Ernest David accidentally stumbled upon the recipe for the famous “Bordeaux mixture“. According to Coates, David was looking to thwart thieves who were snatching grapes from the vineyard by painting the vines closest to the road with an organic blue-green mixture of copper sulfate and lime. Neighboring growers and professors from the University of Bordeaux noticed that these treated vines did not get infected by powdery or downey mildew and convinced David to conduct more trials. Cautious about adverse effects on the Ducru vines, the trials that eventually confirmed the efficacy of the Bordeaux Mixture were conducted at another property of the Johnston family–the 5th Growth Ch. Dauzac in Margaux. 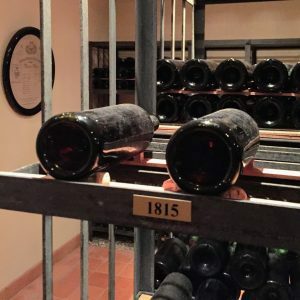 In 1941, the estate was purchased by the Borie family who still own the property today. In addition to Ducru, the family owns the 5th Growth Pauillac estates of Grand Puy Lacoste and Haut Batailley. These estates are managed by Francois Xavier Borie with his brother, Bruno, managing Ducru-Beaucaillou. From 1986 to 1995, the estate was plagued with systematic cork taint issues that required significant investment to eradicate. Many of the bottles from this period had to be recorked with those demonostrating noticeable TCA destroyed. Beginning in the late 20th century, production of the Grand Vin at Ducru started decreasing from a high point of 20,000 to 25,000 cases in the early 1980s to around 9,000 to 11,000 cases today. Since 2010, Virginie Sallette has been the technical director working with long time cellar master René Lusseau. The 2017 vintage is a blend of 90% Cabernet Sauvignon and 10% Merlot. Due to more severe selection in this vintage, there is estimated to only be around 7500 cases produced for 2017. While Ducru is a wine that I never want to open up too young, it’s virtually an automatic buy for me every year. Just stellar stuff that’s usually worth bending my financial discipline a bit for. While the 2017 is priced a little above the 2014, the reduced yields and supply likely played a significant role. It’s still well below 2015 & 2016 levels and is a wine that I can see jumping $20-25 higher when it hits the market. That makes its a justifiable Buy for at least a bottle or two. La Croix is the second wine of Ducru-Beaucaillou that was first introduced in 1995. Since 2005, the wine has been produced from dedicated plots located near Ch. Talbot instead of just declassified fruit from the Grand Vin. Starting with a limited release in 2009 and with all bottlings since 2010, the labels have been designed by Jade Jagger, daughter of rock star Mick Jagger. The 2017 vintage is a blend of 58% Merlot, 39% Cabernet Sauvignon and 3% Petit Verdot. My affinity for Ducru certainly extends to its second wine which I often buy. A bit unusual in being a Merlot-dominant Medoc in this vintage, I find that these Merlot heavy blends usually fall picture perfect into the role of “Cellar Defender” that I’m seeking in years like 2017. The pedigree, coupled with solid pricing under 2013-2016 vintages makes this a good Buy for me. Tagged Antonio Galloni, Baron de Brane, Baron Jean Auguste Sarget, Baron St. Julien, Bertrand Ducru, biodynamic, Bordeaux futures, Bordeaux Mixture, Borie Family, Branaire-Ducru, Brane Cantenac, Bruno Borie, Bruno Eynard, Cabernet Franc, Cabernet Sauvignon, Cantenac-Brown, Cellar defender, Cendoya family, Ch. Brown, Ch. Cantemerle, Ch. Dauzac, Ch. Ferrière, Ch. Gruaud Larose Faure, Ch. Gruaud Larose-Bethmann, Ch. Gruaud-Larose-Sarget, Ch. Lalande-Borie, Ch. Lanessan, Ch. Larose-Trintaudon, Ch. Lion, Ch. Meyney, Ch. Talbot, Chasse-Spleen, Chateau Gloria, Citran, Clive Coates, Clos des Jacobins, Clos Vougeot, Cordier family, cork taint, Decanter, Domaine de la Romanée-Conti, Ducru Beaucaillou, Emile Peynaud, Ernest David, Francois Xavier Borie, French Revolution, Grand Puy Lacoste, Grand Vins, Gruaud-Larose, Haut Batailley, Haut-Bages-Liberal, Henri Martin, Jade Jagger, James Suckling, Jane Anson, Jean de Cours, Jean-Valère Cabarrus, Jeb Dunnuck, Jeff Leve, Jim Beam, JJ Buckley, John Lewis Brown, Joseph Sebastian de La Rose, Joseph Stanislas Gruaud, Jules Ouvard, K & L, Kenji Suzuta, La Croix Ducru-Beaucaillou, La Gurgue, Lafaurie-Peyraguey, Lagrange, Les Fief de Lagrange, Lisa Perrotti-Brown, Lucie Caroline Dassier, Maison Noble de Lagrange Monteil, Marcel Ducasse, Marguerite de Vivien, Merlaut family, Merlot, Michel Delon, Mick Jagger, Mouton Brane, Mouton-Rothschild, Nathaniel Johnston, Organic viticulture, Paul Abadie, Petit Verdot, René Lusseau, Sarget Larose, second wine, Spectrum Wine Auctions, St. Julien, Stephen Brook, Suez Banking Group, Suntory, Sustainable Viticulture, Taillan Group, The Complete Bordeaux, Total Wine, Union des Grands Crus de Bordeaux, Vinfolio, Vinous Media, Virginie Sallette, Wine Advocate, Wine Enthusiast, Wine Searcher, Wine Spectator, Yamanashi Vineyard.